How to use Masterdata Management IDMP SPOR OMS Sync internally? The spectrum of possible IDMP solution architectures ranges from web-tool, “EVWeb”-type solutions where (a potentially huge amount of) data will have to be entered manually to large-scale integrated solutions which include “Master Data Management” components to extract, transform and load data from source systems for IDMP submissions. As the European Medicines Agency (EMA) is implementing the SPOR (Substances-Products-Organisations-Referentials) databases, Master Data Management (MDM) based approaches are gaining much more attention, as MDM-based systems would already provide functionalities and tools to cope with the growth and changes of SPOR’s OMS-, RMS-, PMS- and SMS-databases. This newsletter looks specifically at the Masterdata Management IDMP SPOR OMS Sync, i.e. Marketing Authorization Holders (MAHs), Marketing Authorization Applicants (MAA), Clinical Trial Sponsors (CTS) and Contract Manufacturer Organisations (CMOs). It shows whether and how Master Data Management can support the management of the address data and company information associated with these organisations that are used in the context of regulatory submissions and what the challenges are. 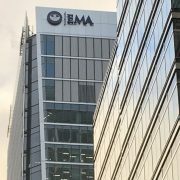 When EMA published its roadmap (in April 2015) towards her vision of an integrated Masterdata Management System that would manage pharmaceutical data about Substances, Products, Organisations and Referentials (“SPOR”) and would not only become the basis of Europe’s future IDMP implementation, but would also include a revision of the current EMA portfolio of systems and databases (e.g. EUDRAGMPD). Implement an integrated and harmonised MDM solution which will deliver standards compliant master data for Substances, Products, Organisations and Referentials (SPOR). Data will be collected, managed and made available to the network, industry and wider stakeholder community, in compliance with legislative requirements and relevant standards for privacy, data protection and security. Implement a new portfolio of services which will be supported by standardised data governance and lifecycle management. 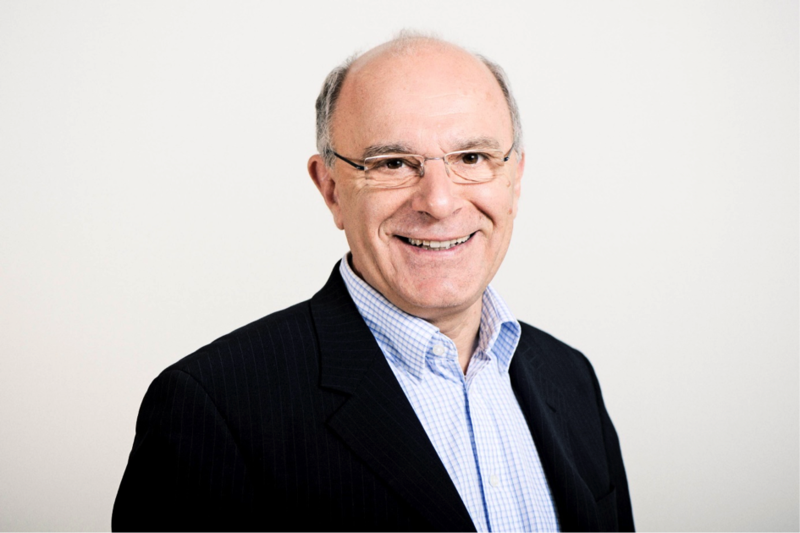 Maximise the benefits realised throughout the implementation of the roadmap by involving and engaging effectively with stakeholders, leading to operating model simplification and efficiency improvements. Through the SPOR Masterdata Management Solution, especially the “Organisations”, “Referentials” and “Substances” modules, EMA intends to collect basic data about the Organisations (Marketing Authorisation Holders (MAH), Marketing Application Applicants (MAA), Contract Manufacturers (CMO) and Clinical Trial Sponsor (CTS) Organisations) and Substances in order to provide unique IDs for these entities that shall be used in the IDMP submissions (“Products” module) to follow later in the five iterations. The “Referentials” module shall provide the controlled vocabularies that are needed in each iteration for the description of the products. Today, SPOR OMS is live and contains approximately 5,700 organisations with a total of 48,318 location data records. Each record contains at least the English language version of the address, plus GPS coordinates and sometimes address data also in other local languages. The vast majority of these organisations are pharmaceutical companies (99% resp. 5,625 organisations), but there are also 52 EEA and 4 non-EEA Regulatory Authorities, plus 11 other industry organisations. The following table shows where the organisations are located: Approximately 13.68% (779) are located in the United Kingdom and approx. 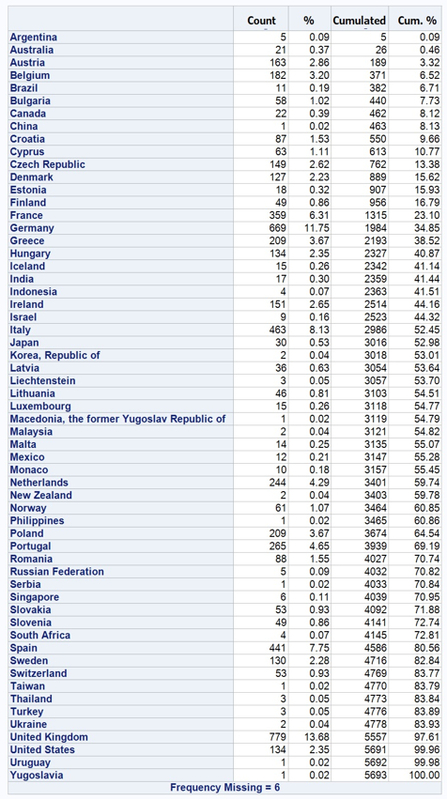 11.75% in Germany (669); the shares of the each of the other countries are lower than 10%. Indian, Chinese and US companies are obviously underrepresented currently with only 0.3%, 0.02% and 2,35%, respectively. When a product submission is to be carried out, then it must refer to the OrganisationID as well as the LocationID given in the OMS for the MAH, MAA, CTS or the CMO companies, as is described above. If there is no data available, or the data is incomplete or wrong, the MAH has to request a corresponding OMS data change (which may take some time…). Therefore, to avoid any delays in the submission process, the MAH has to make sure, that all the organisations (manufacturers, MAH, MAA; CTS) that are referred to in the product documentation/ dossier are already available in the OMS system long before the product is to be submitted and that the data are correct! When a newly founded site of the MAH’s company is to be included, e.g. as a manufacturer for a product or as a MAH/MAA, then the internal Organisation Database should first contain the details about that site, especially the address information. 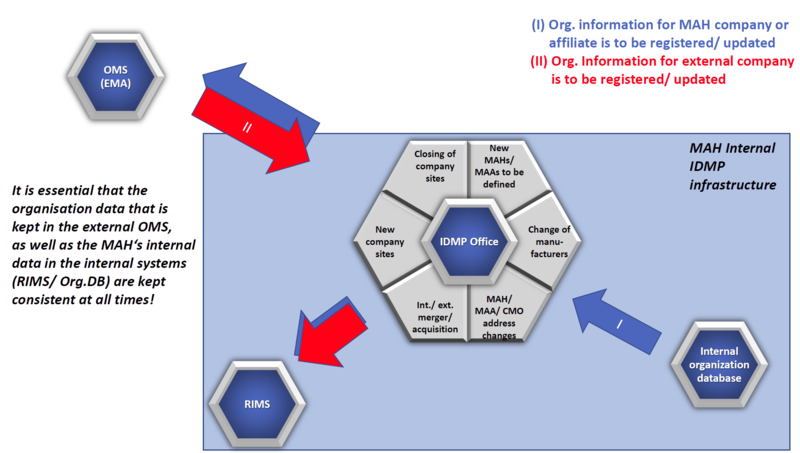 Therefore the Internal OrgDB is “the source of truth”, and the IDMP Office which coordinates the MAHs IDMP data maintenance activities has to make sure that the new site is entered into OMS as new organisation/location. The Organisation ID/ Location ID is to be retrieved and to be stored in the Internal systems (Internal OrgDB and RIMS). When within the product dossier, specifically in module 3.2.P.3.1 – the Manufacturers document – a new (external) Contract Manufacturer is listed, then it needs to be located in EMA’s OMS system. The address details described there need to be verified against the dossier document, and, when the data is correct, the Organisation and Location Ids of the organisation should be entered into the RIMS system (and eventually other internal systems where the data about external manufacturing partners are kept…). So, in this case, the OMS system is “the source of truth”, and the internal systems “only” refer to that OMS data record. Should the CMO not be available in OMS, the MAH needs o request the addition of the CMO company, providing documented evidence about the respective CMO, e.g. a copy of the companies’ registration record, a copy of the Manufacturing or GMP license. When the number of organisations are low (< 50), the processes as described in the previous chapter might still be managed “manually”, e.g. combining and analysing periodical reports as well as change notifications from the internal and external systems, e.g. using Excel. But when the number of companies to be handled exceeds 150, or there is a large base of product registrations with distributed product responsibilities (and a large pool of RIMS users), then a more sophisticated solution will be needed. Carry out comparisons between organisations stored in internal and external systems, by comparing company names and address details, using exact and fuzzy matching. Set up rules to accept or to reject a match based on the measures of similarity, with the option to define “acceptable” and “non-acceptable” deviations. Keep an MDM internal list of the matching data tuples from internal and external systems. Define workflows, roles and permissions to handle deviations, e.g. to correct a data error in an internal system, to request a missing CMO or MAH in OMS. Use interfaces to directly access the internal and the SPOR OMS systems via APIs. Set up recurring processes to look for changes in the internal and external systems that require updates in OMS or the internal systems. accept and handle notifications coming from internal and/or external systems making aware of a change in the data records stored in the respective system(s). start workflows to handle the detected discrepencies and/or deviations. Allow to track the progress of the handling of deviations, completed and open tasks throughout the enterprise. Besides these features the MDM solution also must allow to handle different regulatory environments, i.e. the European scenario including SPOR, but also an upcoming US scenario and other regions where other external databases (Dun and Bradstreet Database (DUNS)?) will or could be used as reference databases. In the interest of better product data quality and reduced compliance risks, it probably is wise to implement the process of Organisation Management with a worldwide perspective and these other, non-European scenarios in the minds from the beginning. In the preparation for the upcoming IDMP standard a company needs to understand which internal and external data stores are be the sources-of-truth that shall be used for IDMP submissions. Once the sources are identified, a data governance process needs to be set up that includes the nomination of an IDMP office and the implementation technology tools, e.g. Master Data Management, in order to guarantee completeness and correctness data throughout the product’s lifecycle. When e.g. organisation data is missing or incorrect at the time of submission, it may mean that the IDMP product data record cannot be submitted technically or will be rejected as being incomplete. As this may result in a delay of the go-to-market of a new product, very significant financial losses might occur. https://www.idmp1.com/wp-content/uploads/2016/06/Itcls-eu-idmp1.png 630 945 Ursula Tschorn https://idmp1.com/wp-content/uploads/2016/03/logo_idmp1_01.jpg Ursula Tschorn2018-10-10 11:27:032018-10-10 11:41:46Masterdata Management for IDMP - How to keep SPOR OMS and Internal Systems in Sync?